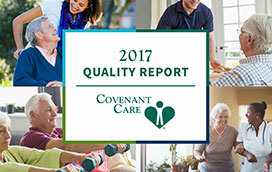 Covenant Care – The leading post-acute and healthcare service provider. 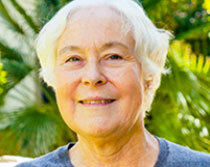 Welcome to Covenant Care, the leading post-acute and healthcare service provider. 20 YEARS OF COMPASSION AND DEDICATION. 100% of our eligible facilities have achieved either a Gold, Silver or Bronze National Quality Award! We measure success one patient at a time. Our highly trained, dedicated professionals deliver care that allows our patients to achieve their highest level of independence. Our clinical outcomes set us apart— QUALITY is the DIFFERENCE. Our Quality Report outlines some of our outstanding 2017 quality results. 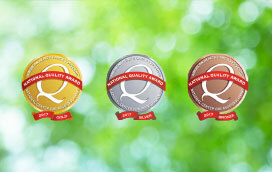 100% of our eligible facilities have achieved either a Gold, Silver or Bronze AHCA/NCAL National Quality Award! Онлайн займы используют большой известностью в Украине. Микрозайм на карту интернет дает собой определенный картина займа. Довольно нередко им используют, когда до получки ещё есть время, а средства потребовались безотлагательно. Арестовать резвый займ интернет значительно легче, чем брать в долг способы у приятелей, своих людей. Микрозаймы даются на маленький срок, который оформляет не больше месяца. Микрофинансовые организации (МФО) дают в долг маленькие суммы, как правило до 15 000 грн, без гарантий, поручителей и справки о доходах. Приклнные обстоятельства получения займа делаются предпосылкой больших годичных процентных ставок, но в масштабах маленького срока переплата не как оказалось значимой. Средства до получки имеет возможность получить всякий, кто соответствует притязаниям кредитной фирмы. AFFIRMA is dedicated to providing quality rehabilitation therapy services to meet the needs of the individuals we serve. Online casino roulette real money is performed around the globe nowadays, whether you go to a territory dependent internet casino to play or potential increase your computer and perform online, this game is enjoyed by young and old equally. As our patient, your comfort is a priority. 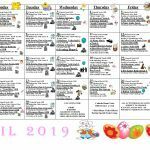 We approach each day with our philosophy that “We Are Family Serving Families”. This simple statement embodies our culture and surrounds all that we do. Physicians are our partners in care. Partnered with physicians, nurses and therapists at the top of their professions, we deliver the highest quality care. We invite you to take the first step in exploring a possible career at one of our Covenant Care locations.